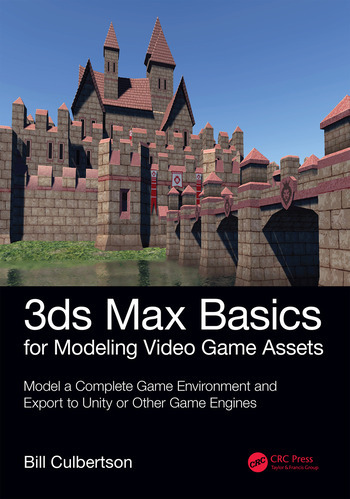 A textbook for learning 3d modeling fundamentals, this step-by-step lesson book develops the readers modeling skills through a series of modeling exercises creating modules for a medieval castle environment. As the text introduces new modeling skills it additionally calls on the reader to perform repetitive tasks, reinforcing skills learned in the process. The content is presented as if the reader is in a working video game studio, being responsible for researching asset design, providing the team with placeholder assets, and final model assets that are unwrapped and custom textured. Upon completion of the modeling projects, the modeled environment is exported to the Unity game engine for use in a real game environment, Although the text uses Autodesk 3ds Max for the modeling program, the principals are transferable to other major modeling programs. 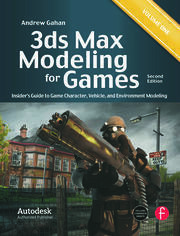 The goal of this book is to teach the fundamentals of 3d modeling video game assets in a simplified, logical progression, optimized for learning at a beginner level. This series of modeling exercises is the result of having taught over one thousand video game students the fundamentals of 3d modeling. Often, teachers are not fully trained in teaching the concepts of 3d modeling. This text, written for self-paced learning helps those instructors. 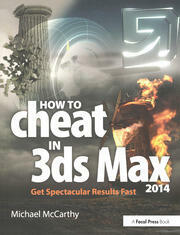 Includes instructions and project files for exporting the finished project environment into a 3d game engine, Unity. 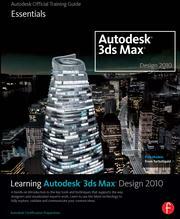 Appendices include additional 3ds Max tool instructions. 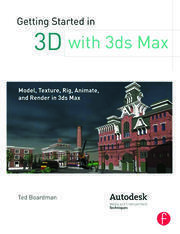 A companion site includes working 3ds Max project files for Chapters, a 3ds Max user interface and 3ds Max short cut keys and more. As the founder of Whooplah LLC, Bill is committed to creating family-fun entertainment that helps parents meet and exceed their parenting goals. An experienced video game designer and developer, he recently released the large-scale video game environment portal, Pollywog Pond, for early learners. A graduate of Towson University in Maryland, Bill earned a Master of Art in Art Education degree from The Rhode Island School of Design. Commercially, Bill began his career at Hasbro, Inc., as an industrial designer in Research & Design. Within a short time he was made Director of the Sculpture Department, guiding the company’s popular toy lines such as G.I. Joe and My Little Pony. Moving into the freelance community, Bill developed a nationwide clientele including manufacturers, theme parks, and cruise lines. Specializing in licensed characters, he has extensive experience with The Walt Disney Company, Jim Henson Company, Sesame Street Workshop, Nickelodeon and others. As an inventor, Bill is responsible for numerous toy concepts and designs. Additionally, Bill has created and produced the award-winning puppet show, "Li’l Rhody!" for Rhode Island PBS. As a fine artist, Bill has been recognized internationally for his sculptural work through numerous large-scale public art works world-wide, including most recently a memorial to Jim Henson in Hyattsville, Maryland. He has the distinction of being named a Copley Master by the Copley Society of Boston. An Associate Professor at New England Institute of Technology, Bill is a faculty member of the nationally ranked Video Game Development and Design Department. With over sixteen years of post-secondary teaching experience, Bill’s teaching emphasis is in 3d modeling, animation and game development. His additional responsibilities have included curriculum and course development for the Video Game Design degree track.